I'm a special edition tea towel to celebrate the 10th birthday of local independent label, Laikonik! 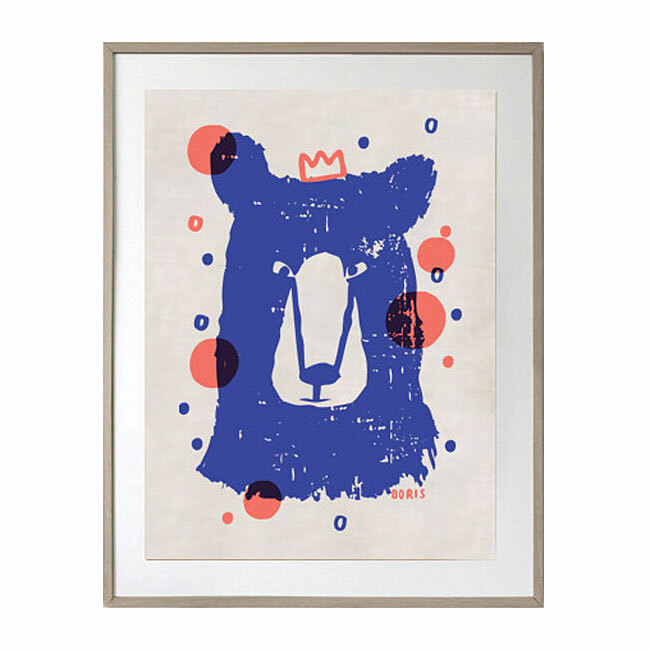 Boris would look amazing framed, for a kids room, santa sack or even use him as a tea Towel to brighten up your space. Gorgeous hot coral and cobalt blue. Designed for Big kids and little kids. Made from a cotton linen mix, this tea towel wears well. Care Instructions: Cold wash only and for best results iron while damp or line dry and let the sunshine do its work.